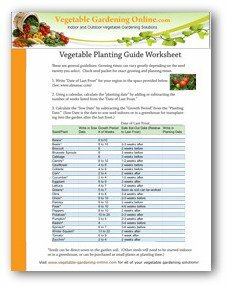 Download our free vegetable garden planting schedule for beginning gardeners! 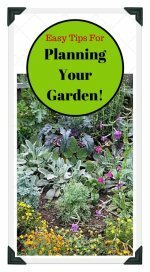 Easily see when it is time to plant your garden. Vegetable gardening is on everyone's minds these days. Fortunately, there are plenty of experienced gardeners willing to teach new gardeners the secrets to their gardening success! Whichever type of garden you choose, the basics for growing vegetables at home are the same for every garden: plenty of sunshine and water! Planting vegetables is the same in any garden situation, but preparations are unique for each of the garden types. 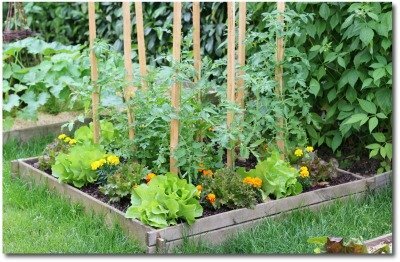 Vegetable gardening is a great hobby for the entire family and brings many delicious rewards! 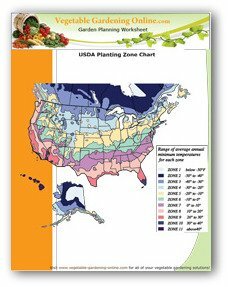 Free downloads of USDA zone chart, and vegetable garden planting guide to help plan your garden! Good fresh food is close enough for you to taste it; isn’t your mouth watering already? 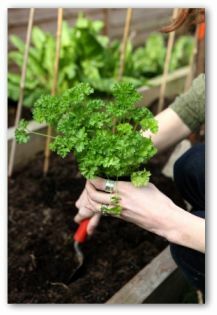 After you finish the vegetable garden planting, transplanted herbs can be picked within weeks. Also radishes and lettuce can be harvested just a few weeks after planting the seeds. You are but sixty short days away from harvesting beans and squash after you plant them in some climates. In others, it will take a bit longer as vegetable plants grow more quickly in warm weather. Visions of a fruitful vegetable harvest send first time gardeners and seasoned pros outdoors to prepare the soil and do their vegetable garden planting. It is time to put your plans to rest in the garden bed. Troubleshoot potential problems such as inadequate sunlight by planting your garden away from shade, or where nearby tree roots will compete with them for water. This step saves money and time by eliminating the chore of moving plants later. Planting a container garden is a very simple and easy way for a beginner to grow a vegetable garden. Gather as many pots as you wish, (3-5 gallon containers are a good size, but they can be larger or smaller if you like) place them in a sunny location, and fill them with good quality potting soil. Just be sure that your containers have drainage holes at the bottom, or add holes if necessary. Then plant your vegetable seeds or small plants following the spacing instructions on the back of the seed packets or plant tags. Provide supports or a trellis if you are growing tomatoes or cucumbers in containers. 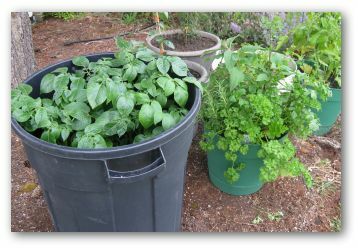 A great thing to try is planting some seed potatoes in the bottom of a large container or garbage can. Cover the potatoes with about 3 inches of soil. After the potato sprouts grow about 6 inches above the soil, add 3 more inches of soil. Continue to add soil following the potato plants all the way to the top of the container. When the potato plants starts to turn brown and wither, stop watering the plants for the final two weeks before harvest. To harvest your potato crop, simply turn the container over on the ground, and remove all of your potatoes. 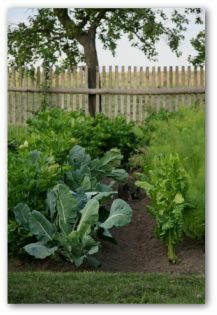 Vegetable plants in home gardens can take a bit of crowding as long as they have proper amounts of air, food, and water. However, the best harvests are produced when crops are given adequate space to grow. Vegetable gardens need a place of their own. 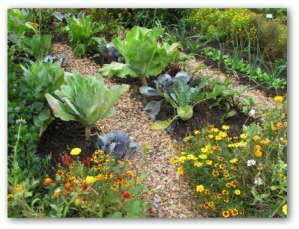 Your garden will prosper in the open, away from shrubs and trees. Competition from larger plants robs vegetables of sunlight, fertilizer, and water; the essentials it needs to grow properly. Also, be sure the follow thinning instructions on your seed packets carefully. This can be very hard to do, as it seems wasteful to (dare I say it) "kill" baby plants, but unfortunately it must be done if you want your plants to thrive! Plant taller vegetables where they will not shade the shorter-growing plants. 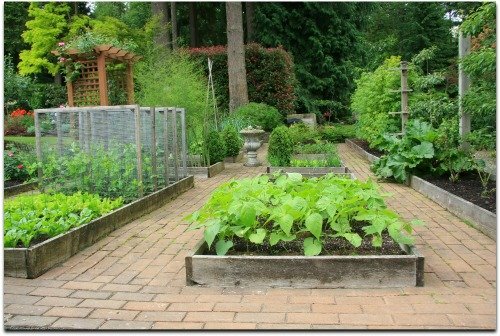 Plan your home vegetable garden so that it is located from north to south, and plant taller plants on the north end of the garden, medium growing plants in the middle, and shorter plants on the south end of the garden. Be sure to locate your garden near a convenient source of water, as providing ample water is essential to the success of any garden. Also make sure that your garden area is well-drained, so that your plants are not trying to grow in soggy or water-logged soil. It is best to water your garden in the morning and/or late afternoon so that your plant leaves and foliage have plenty of time to dry completely before nightfall. This will help prevent some kinds of diseases and mildew from occurring in your garden. Southern vegetable gardens should be ready by the middle of August for fall crops that need an early start. Become familiar with the vegetable garden planting schedule, climate, soils, and vegetable varieties grown in your area. Early fall, and spring vegetables include snap, pole, and Lima beans, cantaloupes, corn, cucumbers, eggplant, peppers, squash, tomatoes, and watermelons. In southern warm climates, fall vegetable garden planting begin the vegetable gardening year. 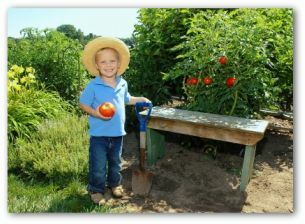 Start in August and continue through September by planting crops, which include beans, corn, tomatoes, and cucumbers. Closely spaced rows and intensive culture techniques of trellising and double cropping maximize the garden space. When just a few plants are needed, plant only portions of a row. 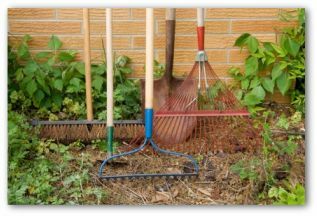 In colder climates, the vegetable garden planting time is in the late spring or early summer when all danger of frost is past, as most vegetable plants will not tolerate freezing weather. Spring/summer gardens can include growing tomatoes, radishes, onions, beets, lettuce, carrots, green beans, peppers, both summer and winter squash, melons, corn, eggplants, broccoli, and cabbage. These vegetables are all planted at the beginning of summer, and will reach maturity by late summer or early fall. The exact vegetable garden planting times will vary from year to year, and sometimes an unexpected or late frost will make it necessary to provide covers for all of your tender plants. These can be containers, or newspapers folded over the top of the plant, but beware that laying plastic directly on your plants will not do much to help prevent frost damage. Good companion plants for growing tomatoes are cabbage, carrots, celery, onion, and mint. Peppers and onions make good companions in the garden bed. Bush beans get along well with practically all other vegetables neighbors except for onions. Plant vegetables together that mutually benefit each other for better tasting and higher yields. 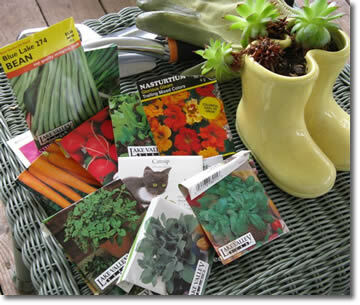 Store any unused seed packets for another season of vegetable garden planting. The seed packets should be tightly closed, and can be placed in a zip-lock bag. Store the bag in a cool dark place. Some gardeners store the bag of seeds in the refrigerator. Saving leftover seeds for the next planting time lowers vegetable gardening costs. Often just several weeks after planting a row of radishes, lettuce, or green onions, it will be time to sow again. 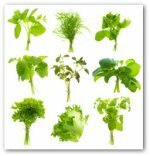 Keep planting these quick growing plants so that you will have continual produce throughout the growing season. 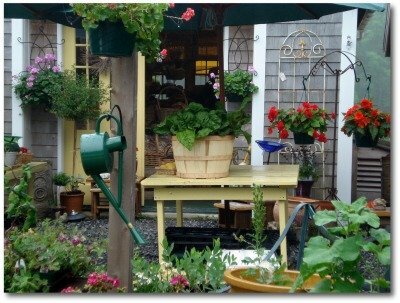 So there you have a few ideas for planning your vegetable garden. Be prepared for a very enjoyable experience. Gardening can be quite relaxing and inspiring. Be sure to involve all of your family in your vegetable garden plan. Gardening is a great life-skill for all; as it helps to know how to provide food for yourself and not be totally dependent on the grocery store for everything. Who knows, next year you might want to try raising some chickens in your back yard also!